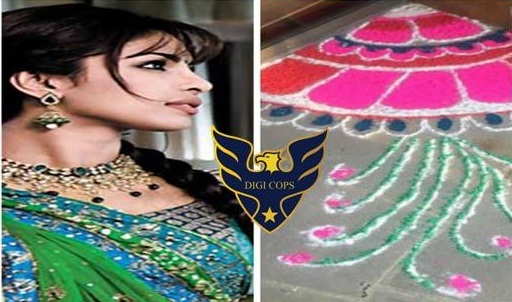 Description This year, Priya Golani rangoli is Radha-Krishna, her first attempt at this theme. She’s been at it for 45 hours, taking time out between her course hours (Teachers Training Course) at a private institution. “It’s my love for the art that keeps me going. I loved drawing as a kid and drawing is the first step to making a rangoli,” says Golani , who dreams of becoming a creative arts teacher.